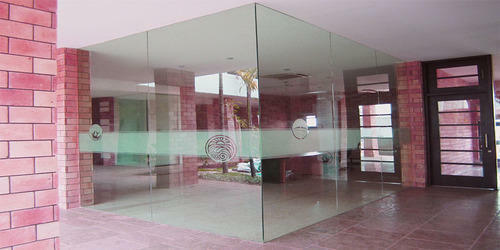 Today, we have a noteworthy manufacturer and supplier of premium quality Frameless Glass Partition. It has attractive designs & alluring patterns and is available in various specifications to meet the diverse needs of the clients. Offered product is manufactured using premium quality glass and other allied material at our manufacturing unit. The offered product is highly demanded in the market and is available at rock-bottom prices.